Click here for sample verses from the version by Conor Murphy. 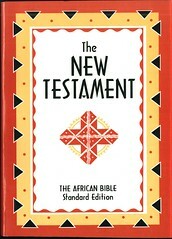 Title: The African Bible ✛ The New Testament ♦ Standard Edition. Translated from the original by Conor Murphy CSSp. 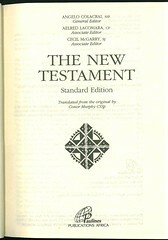 Contents: New Testament with Introduction; Acknowledgement; Foreword by Teresa Marcazzan, FSP. The Scripture text in single column is accompanied by numerous study helps, introductions and explanatory notes. References in the margin. 22 page Glossary and Readings for the Sunday mass as well as b&w maps in the appendix. Comments: Paperback octavo. 712 pp. 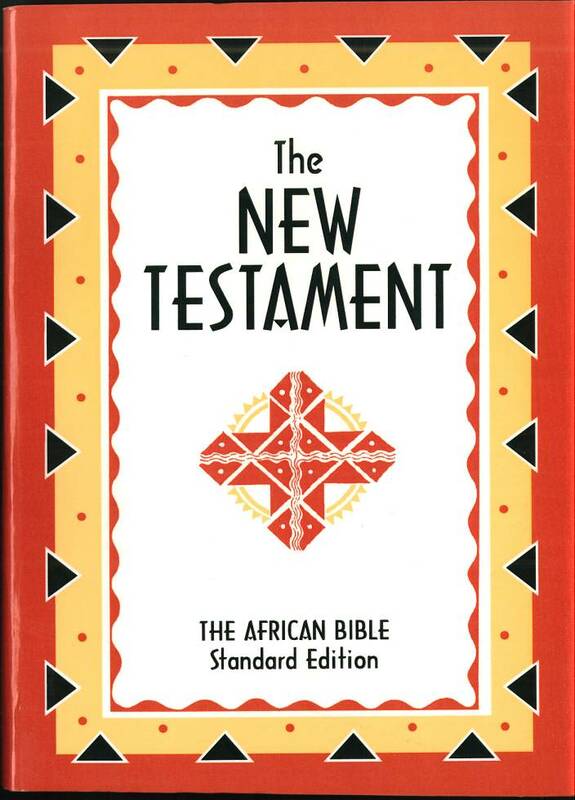 In the Foreword the translation done by C. Murphy is described as "from the Greek, revised by an international team of biblical scholars, all of them Africans or working in Africa. In order to allow the reader to have an even greater flavour of the original text, this faithful translation avoids paraphrases, where possible, and exclusive language. Similary Hebrew and Aramaic words are left untranslated with an explanatory note." (The unspecified underlying Greek used here is from the Alexandrian text family which is also used in the complete »African Bible«, published 1999, with the NAB text.) Within the notes also extrabiblical references to e.g. 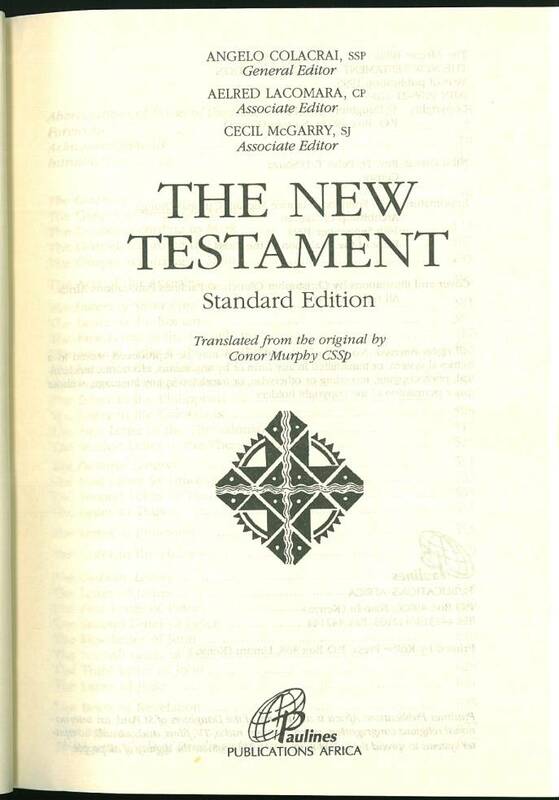 the Dead Sea scrolls, the Targumim, the Mishna, pseudoepigraphical and patristic literature are to be found; so this NT comes close to a Study Bible.